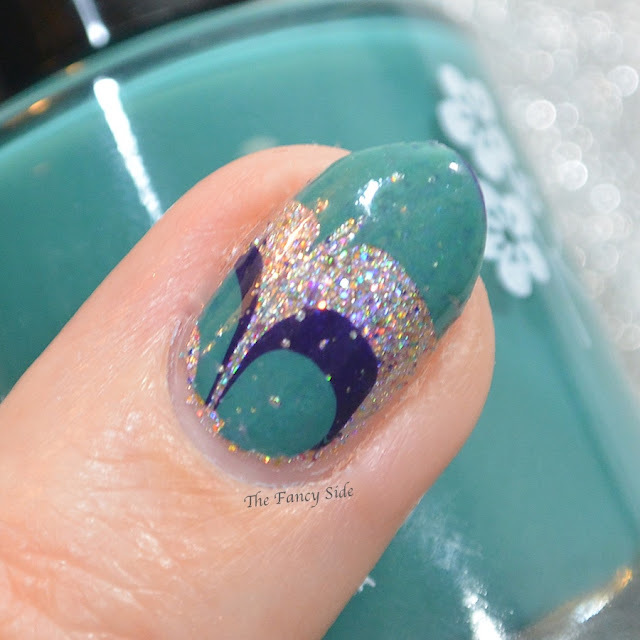 So today the prompt for the #31DC2015 was my nail art arch nemesis. The dreaded water marble. If you follow me on Instagram you'll have seen one of my 729 epic fails yesterday. Ugh. The Nail Polish Overlords did not hear my plea. So finally I gave up and resorted to my old friend stamping for a cheated look! 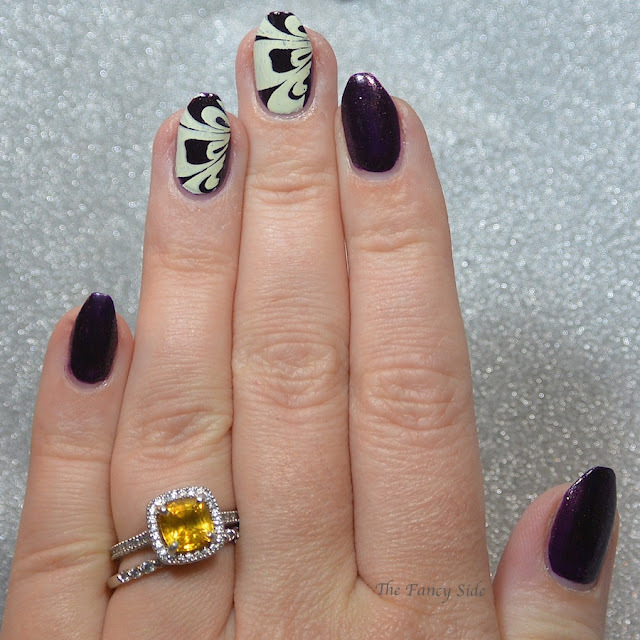 This is OPI First Class Desires stamped with Mundo de Unas Bones via Bundle Monster BM-320. This was the only successful look I managed to pull off. I'm showing off a fail below, so check that out too. Before I show you the fail, what do you think of my new nail shape? I did it on a whim, thinking I'll cut them down before long but I surprised myself. I really dig the ballerina shape. Ok so the fail...the middle finger is the only attempt that came out decent. 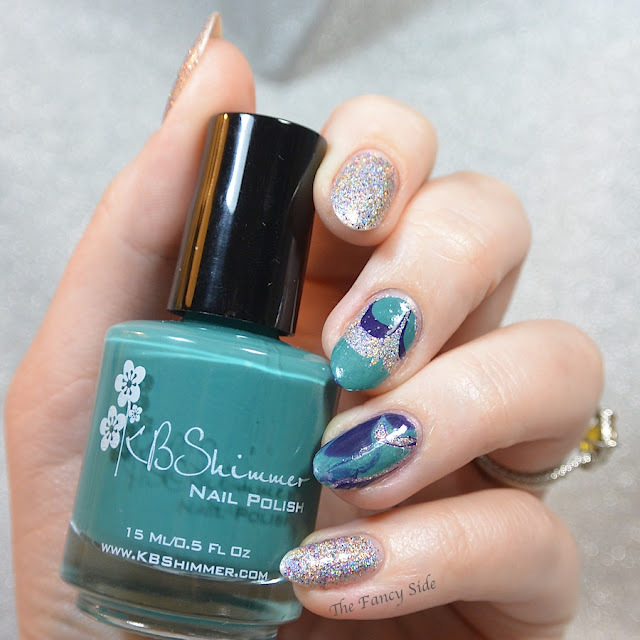 I used Glam Polish I'm Shore You Did as the base and the water marble was done with KBShimmer Teal it to My Heart and Soul Deep and a clear polish. Next up we have inspired by a color. I'm starting to see the end of the light at the tunnel. Only 11 days left. I love the color combination you chose for the "fail." They look so good together! I didn't know there was a plate with a watermarble design on it. What a great thing! I really liked it too. To bad about the one finger though. 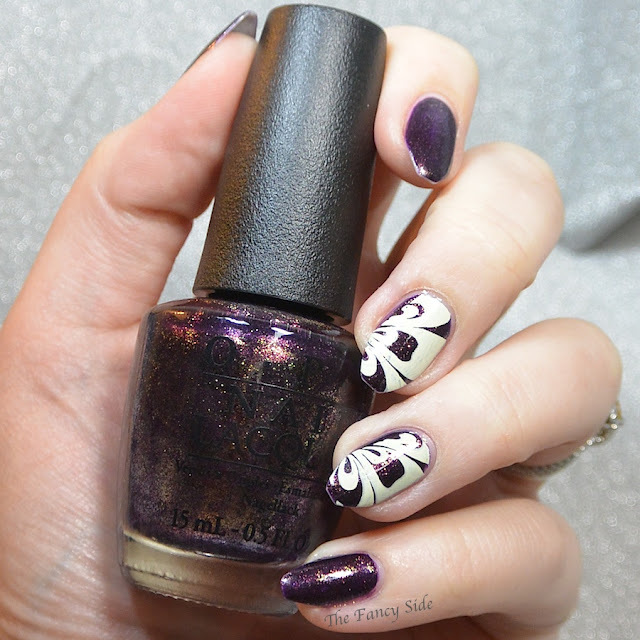 I love to water marble but I'm intrigued by the stamp! Great manis! Thanks, it was totally my out. 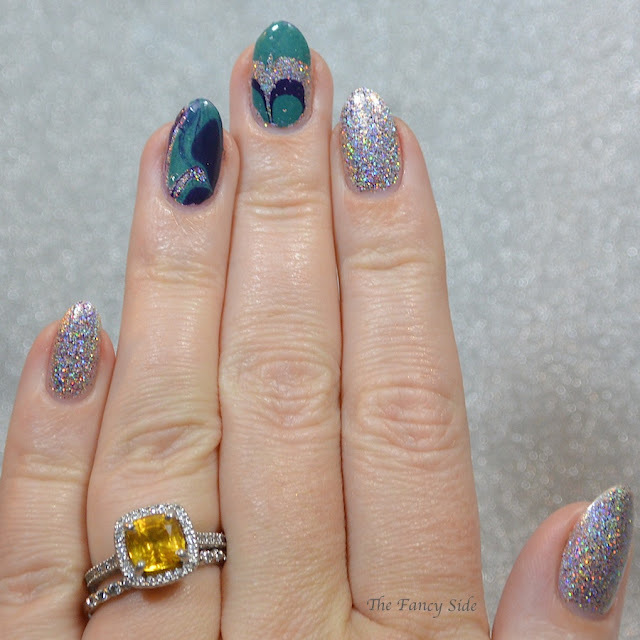 I love both of these mani's and do not see any fails! Bah, you are too sweet! Good job! You're almost there!! Thank you! Love that encouragement. I need that stamp. Sometimes I don't feel like goi g through all the trouble of marbling. It was a god send. Thanks, you are so sweet. I was pumped about the second one until it went all wonky on me. Thanks it was definitely what I needed after all the frustration I experienced. Thanks Michelle. You are too sweet.